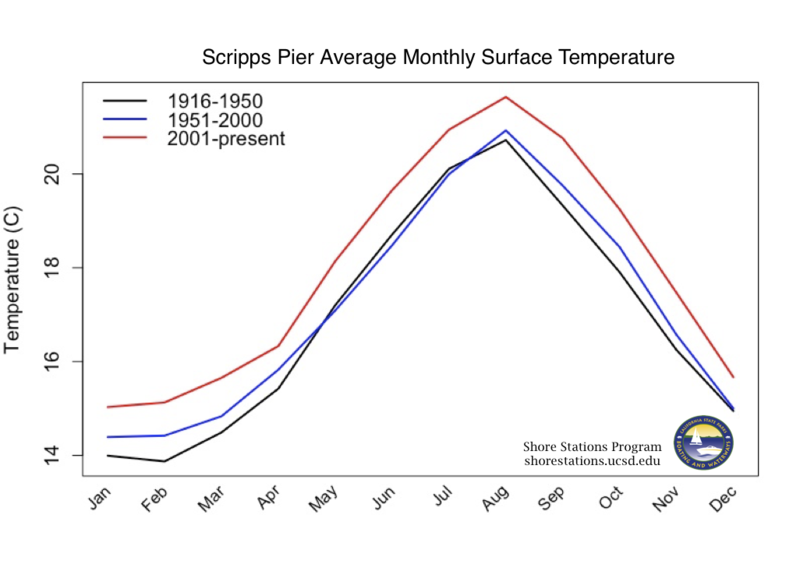 The Shore Stations Program collects and provides access to current and historical data records of sea surface temperature (SST) and salinity (SSS) measurements observed at shoreline stations along the coast of California. 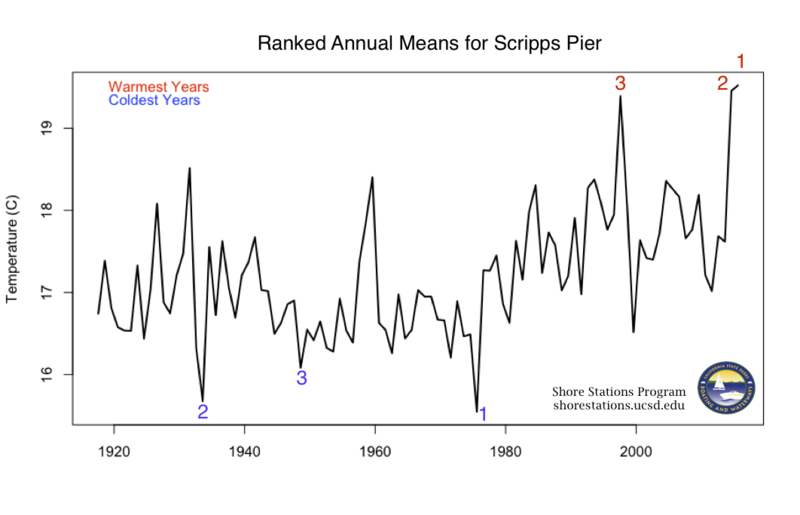 The Scripps Pier temperature time series ranks as one of the world’s longest ocean time series, and the longest on the Pacific Rim. 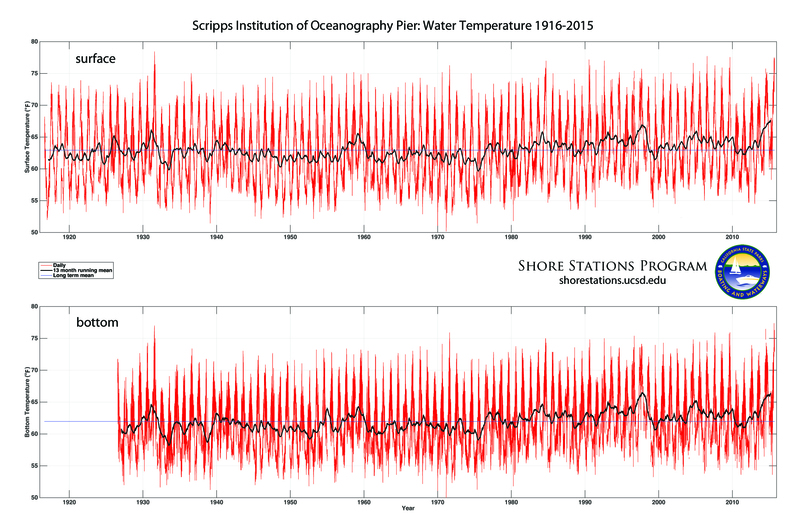 The long record of coastal data provided by the Shore Stations program has provided a detailed understanding of ocean seasonality for the entire coast of California, and continues to contribute to our understanding of warming caused by El Niño conditions and global climate change. 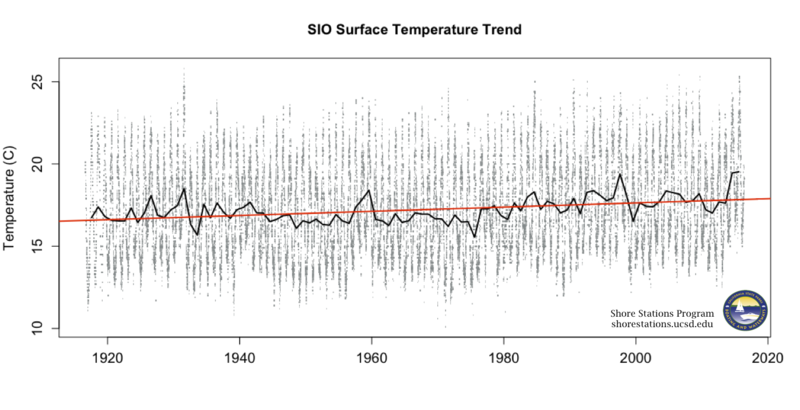 How Does This Year Compare to The Rest of the Time Series? Initiated at Scripps in 1916, the Shore Stations program began expanding with new sampling locations in 1919. The program now collects data for oceanographic and climate research from nine sites along the California coast. The original pier was a 1000-foot-long wooden structure used for manual observations. Rebuilt in 1987-88, it is now one of the most active research piers in the world. Temperature and salinity data from Scripps and other stations can be viewed online or downloaded. Present-day observations include surface and bottom samples collected once per day. Temperature is measured with an electronic thermometer on the pier, while water samples are collected for salinity analysis in the lab.